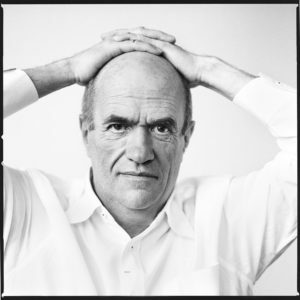 Colm Tóibín was born in Enniscorthy, Co. Wexford in 1955. He studied at University College Dublin and lived in Barcelona between 1975 and 1978. Out of his experience in Barcelona be produced two books, the novel The South (shortlisted for the Whitbread First Novel Award and winner of the Irish Times/ Aer Lingus First Fiction Award) and Homage to Barcelona, both published in 1990. When he returned to Ireland in 1978 he worked for several years as a journalist, then returned to novel writing with: The Heather Blazing (1992, winner of the Encore Award); The Story of the Night (1996, winner of the Ferro-Grumley Prize); The Blackwater Lightship (1999, shortlisted for the IMPAC Dublin Prize and the Booker Prize and made into a film starring Angela Lansbury); The Master (2004, winner of the Dublin IMPAC Prize; the Prix du Meilleur Livre; the LA Times Novel of the Year; and shortlisted for the Booker Prize); Brooklyn (2009, winner of the Costa Novel of the Year). Tóibín’s short story collections are Mothers and Sons (2006, winner of the Edge Hill Prize) and The Empty Family (2010), shortlisted for the Frank O’Connor Prize. His book of essays on Henry James, All a Novelist Needs, appeared also in 2010. In 2011, his play ‘Testament’ was performed at the Dublin Theatre Festival and his memoir, A Guest at the Feast, was published by Penguin UK as a Kindle original. In 2012, ‘New Ways to Kill Your Mother: Writers & Their Families’ was published, as was his edition for Penguin Classics of ‘De Profundis and Other Writings’ by Oscar Wilde. His novel The Testament of Mary (2012) was short-listed for the Man Booker Prize. In 2013 ‘The Testament of Mary’ opened on Broadway, with Fiona Shaw, and was nominated for a Tony Award for Best Play. Colm Tóibín’s 2014 novel Nora Webster, won the Hawthornden Prize, and On Elizabeth Bishop, published in 2015, was a finalist for the National Book Critics Circle Award for Criticism. His ninth novel, House of Names, appeared in 2017. 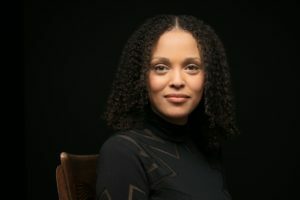 MacArthur Genius and two-time National Book Award winner Jesmyn Ward has been hailed as the standout writer of her generation, proving her “fearless and toughly lyrical” voice in novels, memoir, and nonfiction. Betsy Burton of the American Booksellers Association has called her “the new Toni Morrison.” In 2017, she became the first woman and the first person of color to win two National Book Awards for Fiction—joining the ranks of William Faulkner, Saul Bellow, John Cheever, Philip Roth, and John Updike. Ward’s stories are largely set on the Gulf Coast of Mississippi, where she grew up and still lives. When Hurricane Katrina slammed into the Gulf Coast, Ward was forced to evacuate her rapidly flooding home. Her writing is deeply informed by the trauma of Katrina, not to mention its unimaginable social and economic repercussions. Her novel Salvage the Bones, winner of the 2011 National Book Award, is a troubling but ultimately empowering tale of familial bonds set amid the chaos of the hurricane. Likewise, Ward’s debut novel, Where the Line Bleeds, depicts what Publishers Weekly calls “a world full of despair but not devoid of hope” in the aftermath of natural disaster. Ward’s memoir, Men We Reaped, delves into the five years of Ward’s life in which she lost five young men—to drugs, accidents, suicide, and the bad luck that follows poor people and people of color. Lauded by Kirkus Reviews as a “modern rejoinder to Black Like Me [and] Beloved,” Men We Reaped is a beautiful and painful homage to Ward’s ghosts and the haunted yet hopeful place she calls home. Men We Reaped won the Heartland Prize and was a finalist for the National Book Critics Circle Award. A singular Southern odyssey that strikes at the heart of life in the rural South, Sing, Unburied, Sing, earned Ward a second National Book Award in 2017. Sing, Unburied, Sing is a road novel through Mississippi’s past and present that explores the bonds of a family tested by racism and poverty. Margaret Atwood called it a “wrenching new novel…[that] digs deep into the not-buried heart of the American nightmare. A must!” Sing was named one of the 10 Best Books of 2017 by The New York Times and Time. The Washington Post and Publisher’s Weekly also called Sing one of the year’s best books. Sing was also nominated for the PEN/Faulkner Award, the National Book Critics Circle Award, and the Aspen Words Literary Prize. Jesmyn Ward teaches creative writing at Tulane University in New Orleans. In 2016, she won the Strauss Living award, given every five years by the American Academy of Arts & Letters for literary excellence. In 2017, she was recognized with a MacArthur Foundation Genius Grant for her work “exploring the enduring bonds of community and familial love among poor African-Americans of the rural South against a landscape of circumscribed possibilities and lost potential.” In 2018, she was recognized among Time‘s 100 Most Influential People. Ward is currently working on two new books: a novel for adults set in New Orleans at the height of the American slave trade, and a young adult novel about a Black girl from the South with supernatural powers. For more information on Jesmyn Ward, please visit jesmynwardauthor.com. 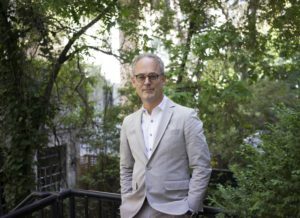 Born and raised in the Boston area, Amor Towles graduated from Yale College and received an MA in English from Stanford University. His thesis at Stanford, a short story cycle called “The Temptations of Pleasure”, was published in 1989 in Paris Review No. 112. Mr. Towles’s first novel, Rules of Civility, which was published in 2011, was a New York Times bestseller and was named by the Wall Street Journal as one of the best books of 2011. The book has been translated into over 15 languages, its French translation receiving the 2012 Prix Fitzgerald. In the fall of 2012, the novel was optioned by Lionsgate to be made into a feature film. Mr. Towles’s second novel, A Gentleman in Moscow, which was published in 2016, has been on the New York Times bestseller list for over 52 weeks in hardcover and was named one of the best books of 2016 by the Chicago Tribune, the Washington Post, the Philadelphia Inquirer, the San Francisco Chronicle, and NPR. The book is being translated into over twenty languages including Russian. In the summer of 2017, the novel was optioned by EOne and the British director, Tom Harper, to be made into a 6-8 hour miniseries. Having worked as an investment professional for over twenty years, Mr. Towles now devotes himself full time to writing in Manhattan, where he lives with his wife and two children. For more information on Amor Towles, please visit amortowles.com. 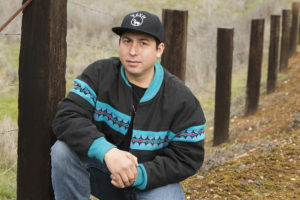 Tommy Orange is the author of the New York Times bestselling novel There There, a multi-generational, relentlessly paced story about a side of America few of us have ever seen: the lives of urban Native Americans. Orange is a recent graduate from the MFA program at the Institute of American Indian Arts. He is a 2014 MacDowell Fellow, and a 2016 Writing by Writers Fellow. He is an enrolled member of the Cheyenne and Arapaho Tribes of Oklahoma. He was born and raised in Oakland, California, and currently lives in Angel’s Camp, California. Tayari Jones’s An American Marriage has been a 2018 Oprah’s Book Club Selection, a instant New York Times bestseller, and a National Book Award finalist, with TK copies in print. This story of a marriage torn apart by a wrongful conviction has been called “haunting . . . beautifully written” (the New York Times Book Review) and “brilliant and heartbreaking . . . unforgettable” (USA Today). It was included on dozens of best-of-the-year lists, including the New York Times, the Washington Post, Time magazine, USA Today, and more. “It’s among Tayari’s many gifts that she can touch us soul to soul with her words,” says Oprah Winfrey. 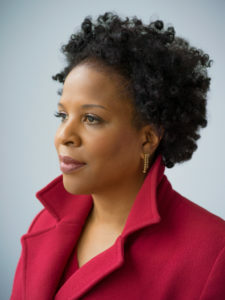 The novel has been called “exquisite, timely and powerful” (Edwidge Danticat), and Jones has garnered praise for her “compassionate observation, her clear-eyed insight and her beautifully written and complex characters” (Amy Bloom) and her “heartbreaking and genuinely suspenseful love story” (Tom Perrotta). Michael Chabon says that Jones’s “vision . . . strength, and . . . truth-telling voice have found a new level of artistry and power.” Former president Barack Obama included it on his 2018 list of favorite reads, and former first lady Michelle Obama told the NYT that An American Marriage is on her nightstand. Jones has returned her hometown of Atlanta, where she is Professor of English and Creative Writing at Emory University. She holds degrees from Spelman College (BA), the University of Iowa (MA), and Arizona State University (MFA). She has received fellowships from the Radcliffe Institute for Advanced Study, United States Artist Foundation, and Black Mountain Institute. An accomplished and witty speaker, she has spoken at hundreds of colleges and universities, libraries, writers’ conferences, and literary series all over the country. For more information on Tayari Jones, please visit tayarijones.com. Paula McLain’s critically acclaimed New York Times bestselling novel The Paris Wife has been a publishing phenomenon, with over 1.5 million copies in print. Painting a more complex portrait of Ernest Hemingway than many of us have come to expect, it transports us through his first wife Hadley’s eyes into the sumptuous, bohemian world of 1920s Paris and into the heart of a marriage that played a pivotal role in Hemingway’s budding literary career. The immediacy and intimacy of Hadley’s voice is irresistible; and as a woman coming into her own amid such literary legends as Ezra Pound, Gertrude Stein, F. Scott Fitzgerald, and her own husband, Hadley emerges as an unforgettable heroine. McLain returns to the timeless subject of Ernest Hemingway, this time through the prism of his stormy relationship with the incomparable Martha Gellhorn, a force of nature who carved her own way in a man’s world in her novel Love and Ruin, a New York Times bestseller and the first book about Gellhorn’s life. In McLain’s words, “Gellhorn was incandescent, a true original with brass and vivacity and courage to spare. I was instantly under her spell.” McLain’s beautifully rendered portraits of unsung women throughout history has made her popular with audiences of all varieties, and she speaks across the country, about her research, the compelling characters have that inspired her fiction, and insights into the writing process. She received an MFA in poetry from the University of Michigan and has been awarded fellowships from Yaddo, the MacDowell Colony, and the National Endowment for the Arts. She is also the author of two collections of poetry, a memoir, Like Family: Growing Up in Other People’s Houses, the debut novel, A Ticket to Ride. She currently lives in Cleveland with her family. For more information on Paula McLain, please visit paulamclain.com. 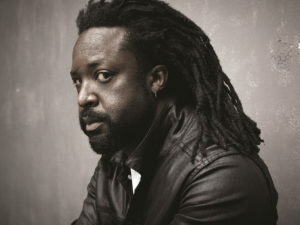 Marlon James won the 2015 Man Booker Prize for Fiction for A Brief History of Seven Killings, making him the first Jamaican author to take home the U.K.’s most prestigious literary award. In the work, James combines masterful storytelling with brilliant skill at characterization and an eye for detail to forge a bold novel of dazzling ambition and scope. He explores Jamaican history through the perspectives of multiple narrators and genres: the political thriller, the oral biography, and the classic whodunit confront the untold history of Jamaica in the 1970’s, with excursions to the assassination attempt on reggae musician Bob Marley, as well as the country’s own clandestine battles during the cold war. James cites influences as diverse as Greek tragedy, William Faulkner, the LA crime novelist James Ellroy, Shakespeare, Batman and the X-Men. Writing for The New York Times, Michiko Kakutani said of A Brief History of Seven Killings, “It’s epic in every sense of that word: sweeping, mythic, over-the-top, colossal and dizzyingly complex. It’s also raw, dense, violent, scalding, darkly comic, exhilarating and exhausting—a testament to Mr. James’s vaulting ambition and prodigious talent.” In addition to the Man Booker Prize, A Brief History of Seven Killings won the American Book Award, the Anisfield-Wolf Book Prize, the OCM Bocas Prize for Caribbean Literature, the Minnesota Book Award, and was a finalist for the National Book Critics Circle Award. James is in the process of adapting the work into an HBO television series. Marlon James’ first novel, John Crow’s Devil, tells the story of a biblical struggle in a remote Jamaican village in the 1950s. Though rejected 70 times before being accepted for publication, John Crow’s Devil went on to become a finalist for the Los Angeles Times Book Prize and the Commonwealth Writers Prize, as well as a New York Times Editor’s Choice. His second novel, The Book of Night Women, is about a slave women’s revolt on a Jamaican plantation in the early 19th century. The work won the 2010 Dayton Literary Peace Prize, Minnesota Book Award, and was a finalist for the 2010 National Book Critics Circle Award in fiction, as well as an NAACP Image Award. James’ short fiction and nonfiction have been anthologized in Bronx Noir, The Book of Men: Eighty Writers on How to Be a Man and elsewhere, and have appeared in Esquire, Granta, Harper’s, The Caribbean Review of Books and other publications. His widely read essay, “From Jamaica to Minnesota to Myself,” appeared in the New York Times Magazine. In early 2016 his viral video Are you racist? ‘No’ isn’t a good enough answer received millions of hits. He is currently working on the Dark Star Trilogy, a fantasy series set in African legend. The first book in the series will be Black Leopard, Red Wolf (Riverhead Books, February 5, 2019). Marlon James was born in Kingston, Jamaica in 1970. He graduated from the University of the West Indies in 1991 with a degree in Language and Literature, and from Wilkes University in Pennsylvania in 2006 with a Masters in creative writing. He lives in Minneapolis, Minnesota and teaches English and creative writing at Macalester College. In 2018 Marlon James received an American Academy of Arts and Letters Award in Literature.